Most chairs are designed to fill a space. Gasser chairs are designed to elevate it. For more than 70 years Gasser’s been designing, building and perfecting the art of commercial seating, using only the highest quality materials. The Allegro™ Series fuses ergonomic support with ultra plush injected molded foam to create an advanced seating system that provides a groundbreaking customer experience. Engineered to be more than just another stack chair, Arianna guarantees durable performance, eye-catching aesthetics and comfort best described as heavenly. Crafted in solid maple, the timeless design of Bella offers a broad selection with two arm style variations: graceful, curving lines and a square, rectilinear form. The BRIO Collection makes a great first impression- where ‘waiting’ is an experience in seating comfort that makes the most favorable and lasting first impression. The Chippendale is a stylish interpretation of 18th century design with beautifully-crafted hardwood frames using current technologies and time-honored techniques. Sit back as the Coltrane gaming stool sets the stage with its headliner style and impressive chops that have the crowd insisting on encore after encore. Cosmo is the club chair in its original form. The classic silhouette and details are reminiscent of the 1930s, with simple upholstery complemented by welting. The Georgetown series re-awakens the unique American furniture style, capturing its rich heritage by evoking classic imagery from ‘across the Potomac’ with a modern day edge. 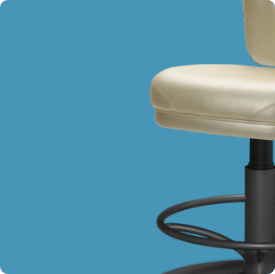 Featuring die cast aluminum legs that provide a stylish, sculptured shape and an innovative, contoured back, the KL-9000 Series combines unparalleled comfort with proven durability. This new Gasser series is a sleek and modern twist on the well-known “club” chair that has been a seating staple for clubs, bars and hotels for over a century. The Player’s Choice™ Series is designed for maximum comfort and durability while offering signature craftsmanship, cutting edge technology and contemporary styling.